Today at 14:00 CEST one of the worlds most challenging adventures and sport events starts – The Volvo Ocean Race, and I’m really proud to be a part of it. In the end of 2013 I was asked to deliver the global brand platform and creative direction for, what I consider, the worlds finest off shore race and one of the worlds greatest adventures. In 2013 I was contacted by Knut Frostad the CEO of The Volvo Ocean Race – The worlds finest off shore race. Knut, is a passionate, enthusiastic leader whose links with the race date back to the 1993-94 when he was helmsman on Intrum Justitia. He led Innovation Kvaerner in 1997-98 and Djuice Dragons in 2001-02. He was watch leader with Brasil 1 in 2005-06 and has also participated in the Olympic Games in 1992. In other words – Knut knows how do deliver the best and demands the best from the people around him. 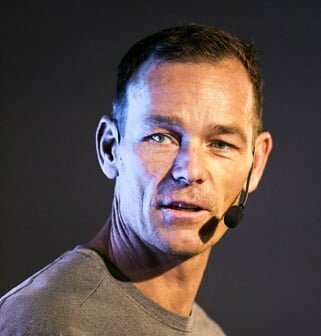 Knut Frostad talking about the new Volvo Ocean Race brand strategy – why use conference rooms? 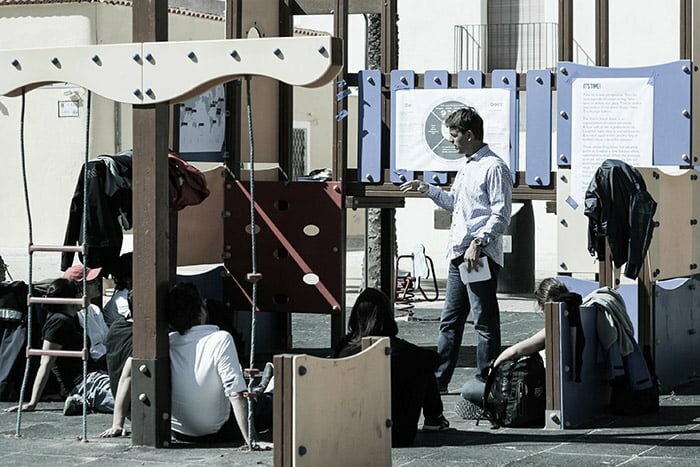 Knut and his team faced a challenge – How to clarify their brand and prepare it for the future communication landscape. How was The Volvo Ocean Race supposed to meet a new world where information flows freely, everything is loved or hated in social media and brands (in the end their potential customers) are facing a complex media landscape where sponsoring of a global event is not necessarily something that attracts the worlds most known brands and companies. 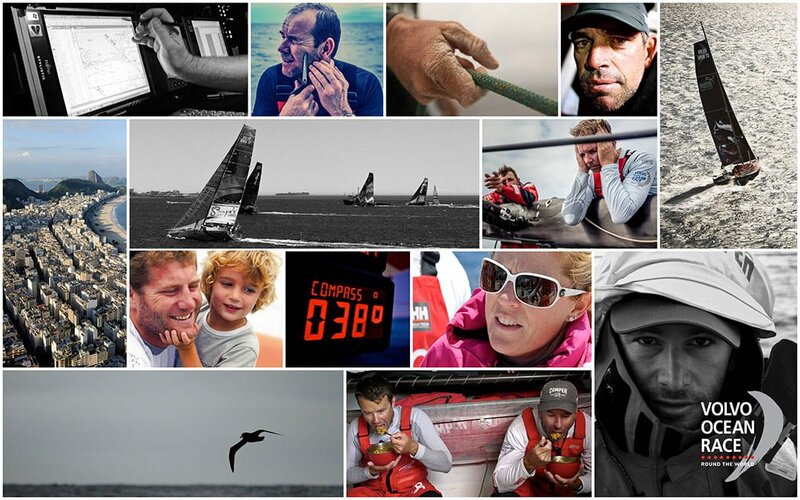 During 2013 I delivered a series of workshops to the Volvo Ocean Race organisation that advised on organizational challenges and recruitment, gave input on their marketing and communications strategy and delivered creative direction of all communication channels such as photography, copy tonality, videos and things like boats and events. Following these workshops I was asked to deliver a new brand strategy and brand platform to guide all communication activities coming out of the race. So it began. In the end of 2013 and the beginning of 2014 I started working on the platform. As often before I brought my ‘sister in arms’ Caroline Karlström into the project. Together we started to create the foundation for the future Volvo Ocean Race – The Volvo Ocean Race brand strategy and platform. 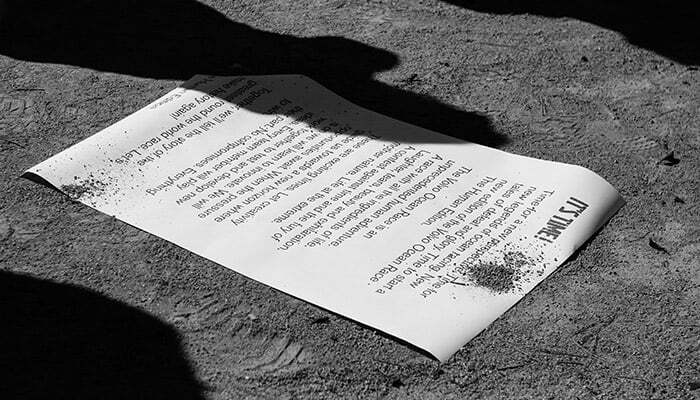 As often before my first step in creating the brand platform was to create a Manifesto. 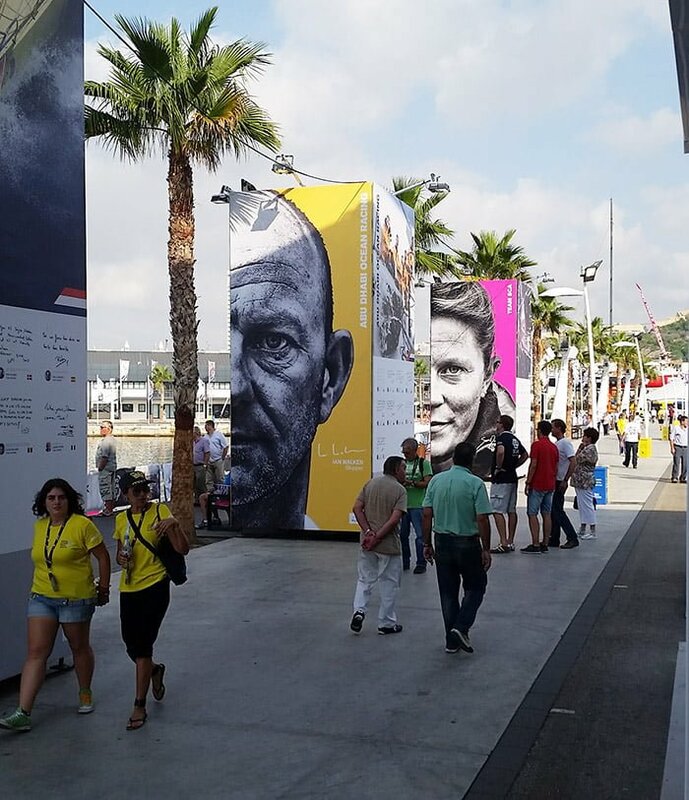 Our mission was to create a clear brand platform that was to guide Volvo Ocean Race in all their activities. In the long run the brand platform is even meant to have an impact on how the boat are built, how people dress, how their office is designed, how videos, photos, texts are produced, which sponsors the race should involve and ultimately and most importantly how people around the world thinks about the race. 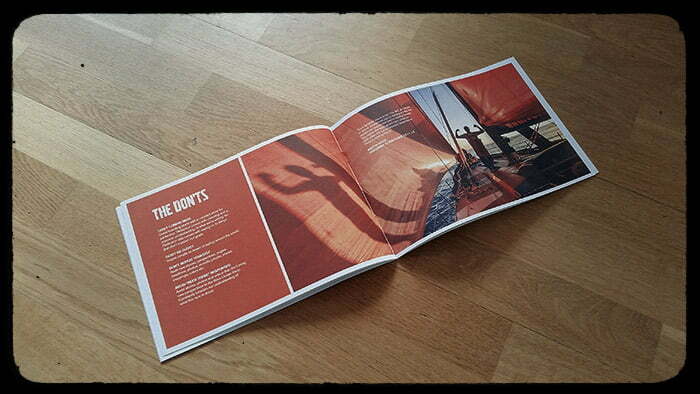 A spread from the Volvo Ocean Race Brand Strategy – A great brand strategy is not only about saying what to do. From start my goal was to create a clear brand platform that was easy to understand, a strategy that guided all activities but still left room for interpretation. A great strategy shouldn’t be about colors and logos. It should be about transferring the strategy from the paper it’s written on to the spine of all employees, partners and stake holders. We ended up creating an easy to use brand platform that people could use in their daily work. The strategy was summarized in a book that I created together with Caroline. I wrote the conceptual copy that we then had Matt Carey fine tune and then the design agency Kollor created the final printed version of it. 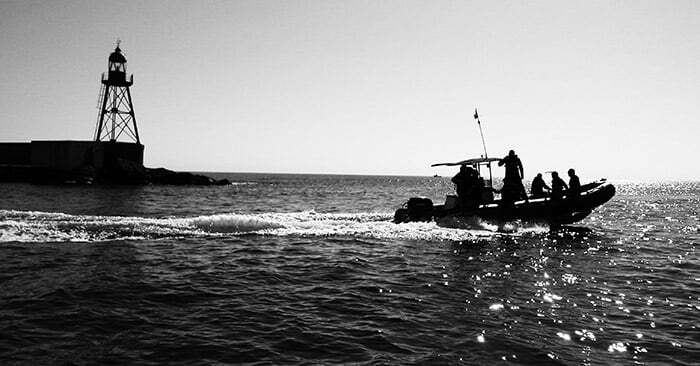 In April 2014, a fine day in Alicante, all of the Volvo Ocean Race staff boarded dinghies for a one day offsite at an Island called Tabarca. There, on this small beautiful island with a history of piracy, me, Knut and the newly hired marketing director Björn Alberts presented the new brand strategy, the platform and also a book that explained the strategy in detail. It was probably the most relaxed presentations I’ve ever held. 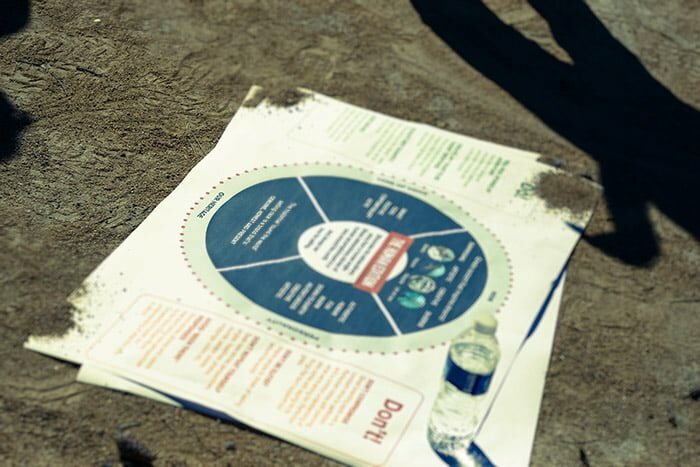 We printed the new branding platform on posters, laid it out flat on the ground and had informal question and answers with all the staff. It was a great and memorable session. Me with one of the teams from Volvo Ocean Race, introducing and answering questions about the new brand strategy. The platform, how does it look? Well, the actual platform and strategy is something I wont post here. 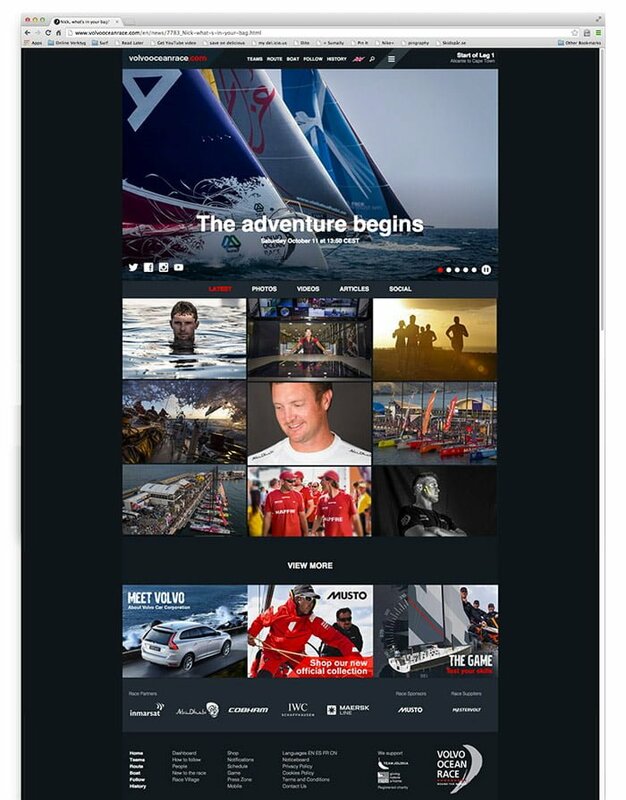 However, during the transition I stayed involved in some processes and for example delivered the design for the new website as well as interior design concepts for the Volvo Ocean Race headquarters. Once my part in the project was done the marketing team, headed by Bjorn Alberts continued to execute on strategy. The results, part from the ones I’ve posted below, can be found on the web, in your mobile on YouTube, Facebook and on Instagram. Or better yet, why not visit one of the stops during the race – after all, they’re sailing around the world so you might get a chance to see it live. True to sailing, personal yet true to sailing. It’s all about humans. And humans fail some times. Style of photography and events. This is by far one of the most exiting assignments I’ve had. It’s not a made up product or something that has no meaning to people. This is an authentic adventure where people risk their lives while sailing around the world in probably the most advanced sailing boats on our planet. Thank you for allowing me to be a part of it! Wonderfull exciting race. I love this race. Great work. Ronnestam, thanks for sharing. Thanks for all this sharing Ronnestam, Where are you?